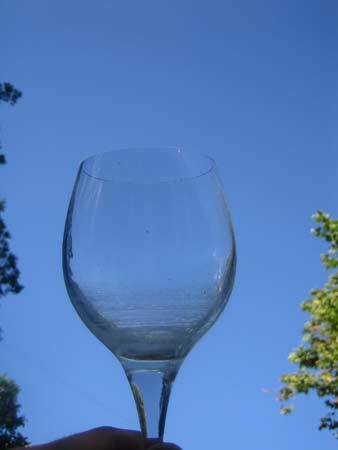 How Long Does it Take for Water to Evaporate in a Wine Glass? Thanks for the 800 great guesses! 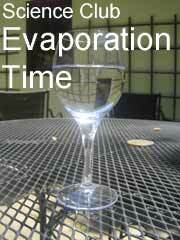 I thought it would take about 2 and a half days for my wine glass of water to evaporate, but I was totally wrong. This photo was taken on Day 12. 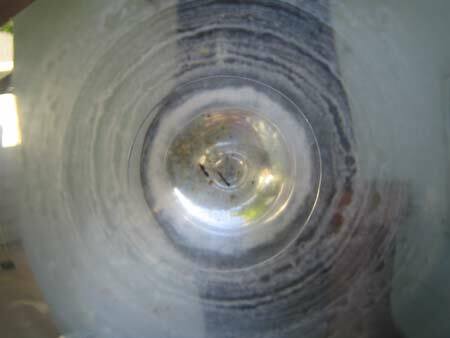 Day after day, I went back to the glass to check the progress, and I was surprised by the slow pace of evaporation. Finally, on Monday, June 19th, it was all gone. The water lasted for 13 days, 5 hours. (317 hours). It wasn't by design, but I think the mesh surface of the table and the insulating stem of the wine glass helped protect the water from expected heat-transfer. 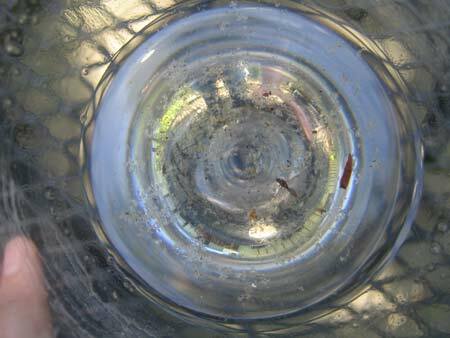 Also, the clear glass and water must have allowed most heat energy to pass through it, instead of being absorbed. No one guessed 13 days exactly, but two dozen people tied with the closest answer of "14 days". Congratulations to them! Winners! They all guessed a lot better than I did. 88% of the guesses were less than 13 days. Only 12% were more than 13 days. 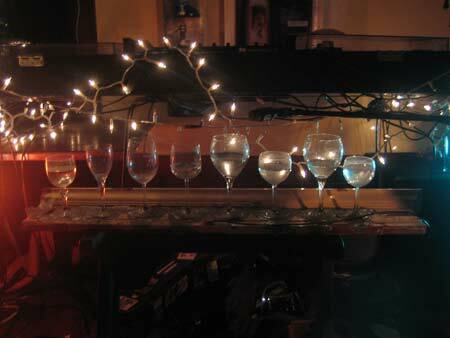 Sure, this was a pretty boring experiment, but now, if you ever decide to take up the glass harmonica, you will know just where to begin!